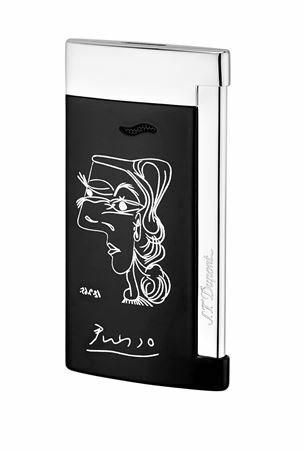 Order your Dupont Limited Edition Picasso Slim 7 Lighter today from FahrneysPens.com. Fine Pens, Refills & Luxurious Gifts – great prices & fast shipping. S.T. Dupont’s Picasso celebrates one of the greatest and most influential artists of the 20th century. Pablo Picasso is known for co-founding the Cubist movement and the wide variety of styles that he helped develop and explore. 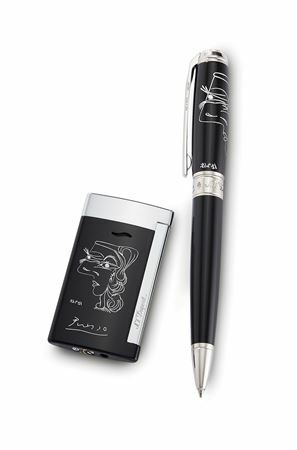 The unique limited edition features one of his favorite line drawings from 1965 – Profil de femme – and his signature. Gently placed by S.T. Dupont on the natural black lacquer, the delicate lines express the duality of a feminine character. Limited to 1,965 pieces.